Chill your beer in the summer and warm your beer in the winter! Use a chill water source when it's hot or warmed water if it's cold! Temperature control during fermentation is one of the most significant contributors to the flavor of our beers, yet it all too often gets overlooked. 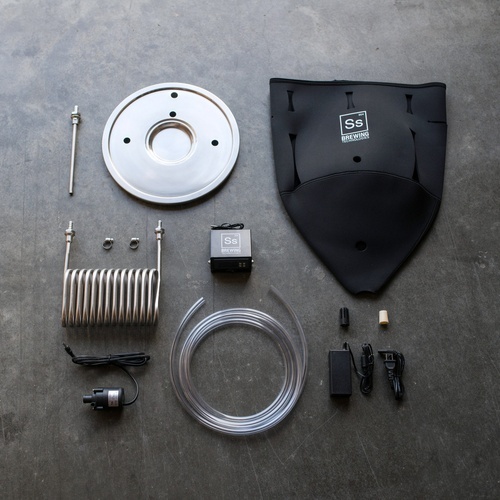 Now with the FTSs temperature control package and either a Brewbucket or Chronical, you can maintain perfect fermenting temps all year. 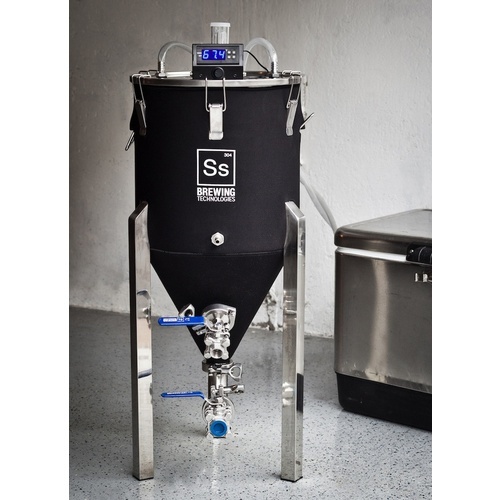 This particular unit is designed specifically to work with the 7 gallon Chronical Conical. Shipping was in the stated time and well packaged. However, the lid had a dent in it that had to be worked out to provide a proper seal. Since it was in a Brewtech packaged box I can only assume it came from the manufacturer that way. This isn’t the first time I’ve had issues with their products. Almost perfect. Amazing product with horrible gaskets. I love this fermenter but the gaskets are flat out awful. 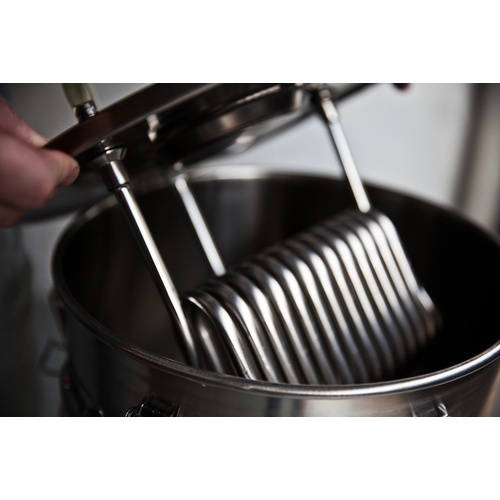 The size, ability to clean and add ingredients in the secondary fermentation is great. The temp control allows me to do lagers. On a side note, you will want a good cooler that you can modify and keep closed yet allow the lines to reach the fermenter. Otherwise you are filling with ice every few hours. This this is almost perfect. My gripe is with the gaskets supplied. They are horrible. Hand tightening causes them to spread outside the area dedicated within the inside edge of the nut. No chance you tighten anymore or it will leak like a sieve. Poor gaskets means your bubbler won't work because your fermentation gases leak out of the holes for the chiller. I just started using the Temperature Stabilization System with my SS Chronical 7 gal fermenter. It is worth every penny. Just did a lager Octoberfest and the controller lowered the pitching temperature to 48 F within 1/2 hour of hooking it up and has been keeping my fermentation at 50 F rock solid. Extremely accurate. Peace of mind not having to worry about temperature fluctuations. I used a cooler with 1 gallon ice jugs to chill the water circulating through the chiller. Great product.